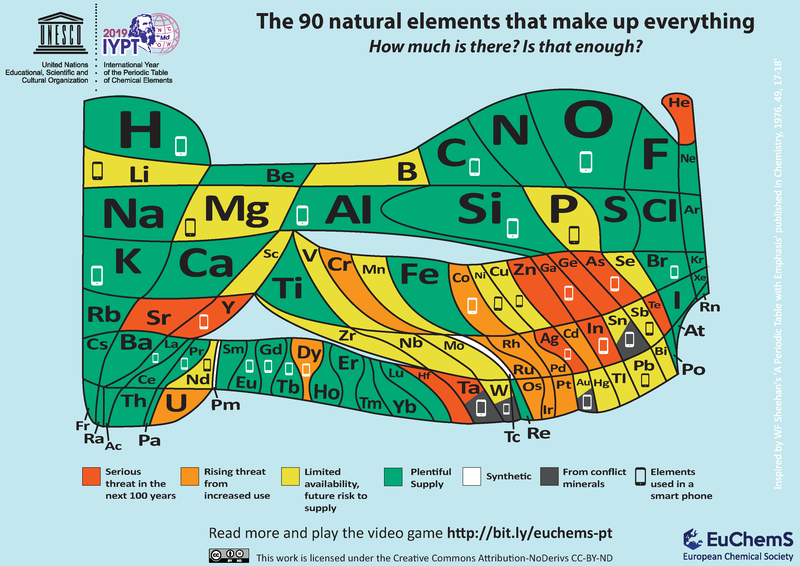 A new, rather different, version of the Periodic Table was developed by Professor David J. Cole-Hamilton team at EuChemS, aiming to illustrate Element Scarcity. 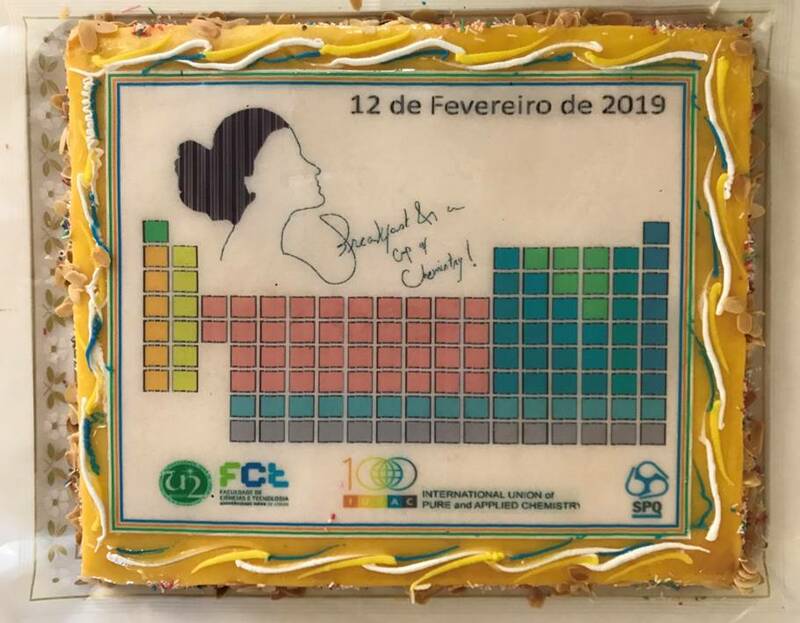 This Periodic Table is available for free download here (please note that the work is licensed under the Creative Commons Attribution NoDerivs CC BY-ND). You can find out quite a bit about it in this video. Read more and play the video game here. 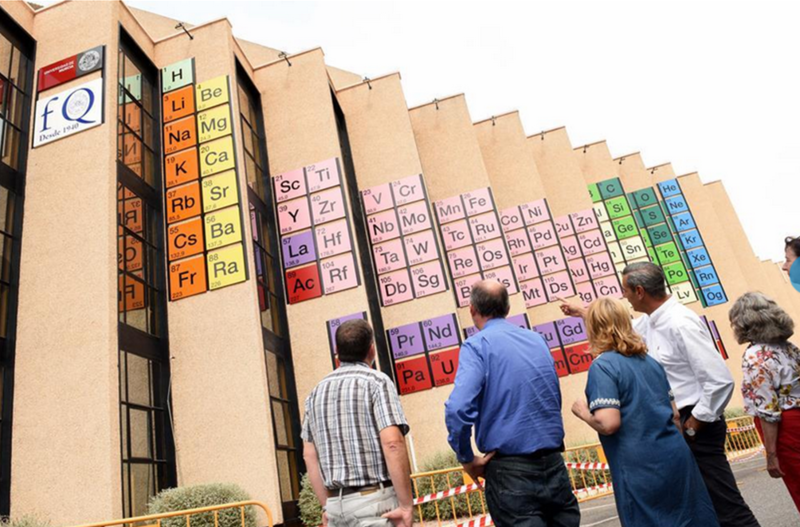 The Spanish University of Murcia has decorated its Chemistry Department building with a giant tribute to Dmitri Mendeleev’s genius. The structure covers approximately 150m2 in total, and comprises 118 75×75cm metal squares. 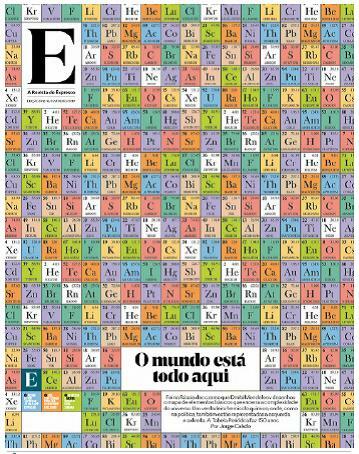 This may be the world’s largest (permanent) periodic table ever! 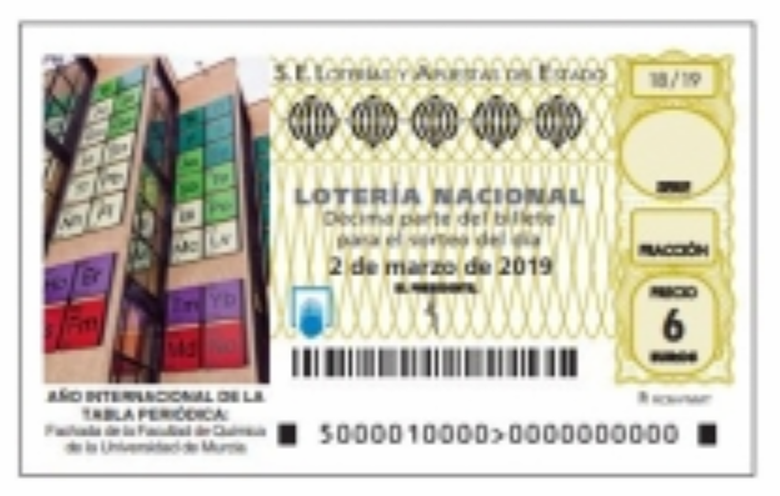 The "Loterías y Apuestas" (Lottery Draw) from Spain joined the commemorations of the IYPT! The draw will be on March 3, 2019. 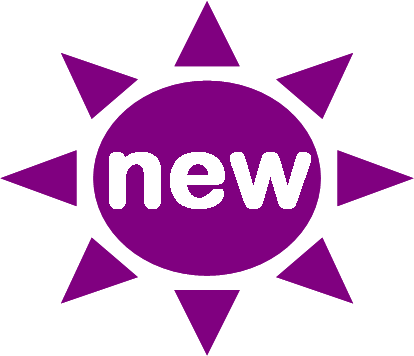 Follow the international events at IUPAC and at ACS. Carbon is the 4th most abundant element in the universe. 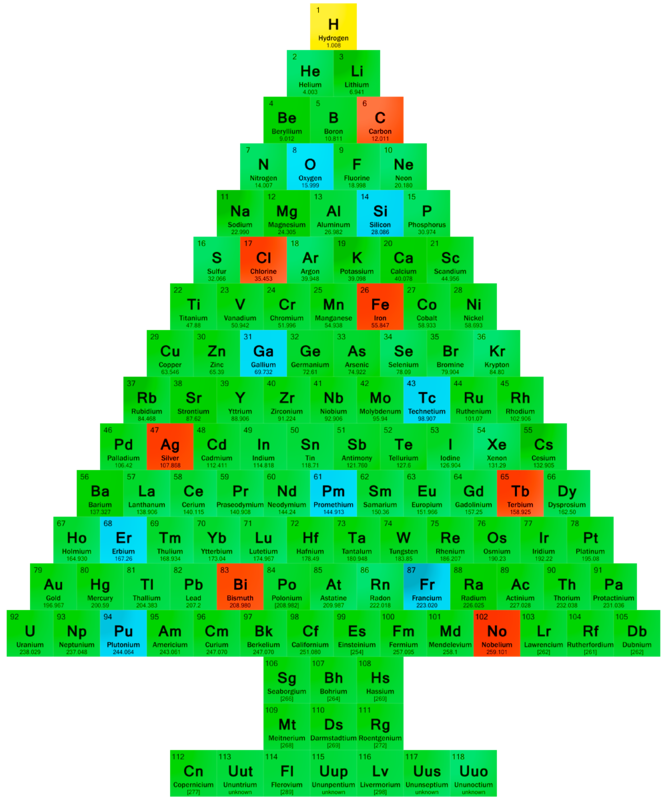 It is an essential element for Life on Earth, being only the15th most abundant element in the Earth's crust. The largest sources of inorganic carbon are limestones, dolomites and carbon dioxide, but significant quantities also occur in organic deposits of coal, peat and oil. 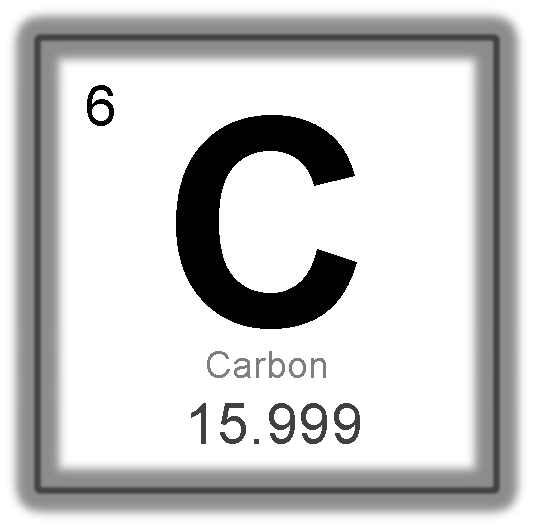 Carbon forms a vast number of compounds, more than any other element, being often referred to as the "king of the elements". Three simple carbon compounds well recognised are graphite, one of the softest known substances, diamond, the hardest naturally occurring substance, and carbon dioxide, a relevant green-house effect gas, responsible for climate changes. "Good!" said the Baron, sitting in his hall. "But Iron, cold iron, is master of them all."